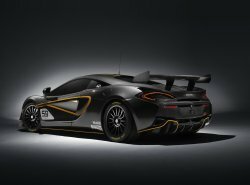 McLaren Automotive has confirmed two new track-only models of the recently-launched Sports Series with the introduction of the 570S GT4 and the 570S Sprint, developed in conjunction with the motorsport division of the Woking brand, McLaren GT and GT racing specialists, CRS GT Limited. 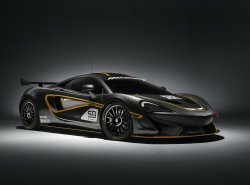 Unveiled ahead of its final development phase, the GT4-specification model will take on an intensive season-long development programme in the British GT championship. 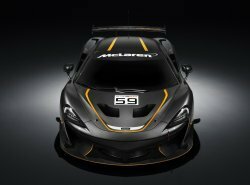 McLaren GT and CRS GT Limited will work with recently confirmed customer team Black Bull Ecurie Ecosse throughout the season, with the 570S GT4 contesting the full nine round calendar, which includes the famous Spa-Francorchamps. The programme will be the truest and most rigorous testing schedule in live race environments. Echoing the previous models to wear the Sprint badge, the 570S Sprint will be unrestricted by racing regulations and dedicated for trackdays, but upgradable to a full GT4 specification. Further details of this model will be confirmed in the coming weeks. In addition to the confirmation of the latest Sports Series models is the appointment of Ansar Ali to the role of Motorsport Director. 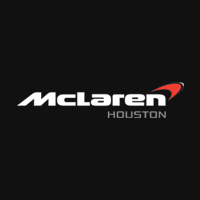 The newly-created role highlights the key focus on motorsport for McLaren Automotive, and Ali will be responsible for the on- going strategy and management of motorsport activities moving forward. 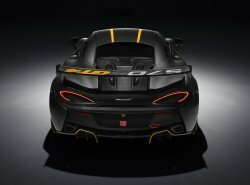 Commenting on the latest additions to the Sports Series, Mike Flewitt, Chief Executive Officer, McLaren Automotive explained: ‘As with the road-going models to wear a McLaren badge, the 570S GT4 and 570S Sprint models are about being an engaging and exciting drive. 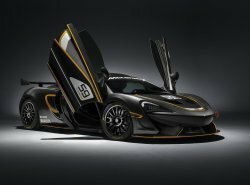 The launch of the Sports Series has broadened the McLaren brand to a new audience, introducing technologies to the sports car market and to a new group of customers. 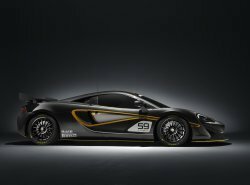 The introduction of the 570S GT4 is doing the same in the motorsport world, and will bring the opportunity to own and race a McLaren – previously limited to a very small number of people – to a much wider group. The track-only 570S GT4 shares the carbon fibre MonoCell II chassis architecture with the other models in the Sports Series. This marks the first time the technology has been made available in the GT4 category, and the race-derived material is of clear benefit with inherent strength and light weight. Driver protection is further enhanced with the addition of an FIA-approved rollcage and fire extinguisher system. Carbon fibre and aluminium are used for the reprofiled bodywork, which is formed over wider track front and rear to accommodate centre-locking lightweight cast magnesium alloy wheels shod with slick Pirelli racing tyres. Two-way adjustable motorsport dampers with coil-over springs are fitted front and rear, and an on-board air jacking system is fitted as standard.